Shout out and thank you to William Morrow for these gorgeous copies! I'm a huge fan of Peter Swanson,and in true Swanson form, he's brought us another doozy. 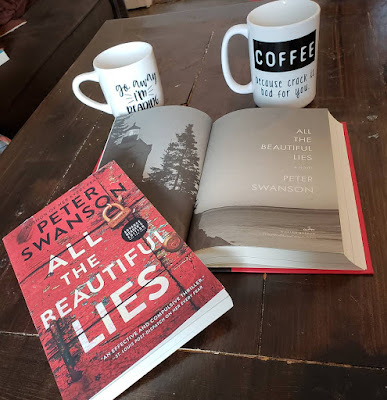 I'm a huge fan of Peter Swanson. I started with The Kind Worth Killing and then Her Every Fear, both that I loved but Her Every Fear being my favorite of the two. And that doesn't change with the entrance of this one. What Swanson does is give you a full on story for the first 75 percent of the book or so, and then brings in Part 2, where the twists come to life and play with your head. The subject matter may not be suitable for some readers. I know a lot of people have an issue with dealing with the sexual nature of manipulation of kids/teens with their older counterparts - where they look at them as mother/father figures and then shape them into their true loves. In this book, who is the manipulator and who is more screwed up than the other? While some people tend to flock away from these types of reads, I tend to gravitate to them. Always fascinating to get into the psychology of it all. As always, crazy seems to attract crazy and then it seems to become a battle of who is going to break first. The "then and now" theme is present = Then being Alice's past and how it shaped her to be the woman she grew into. The now being more about Harry and his dealing with the aftermath of his father's death and not really knowing his stepmother, Alice. As secondary characters are introduced, we get more of their POVs in Part Two where things get even crazier. All in all, this was a fast read and I was turning pages and almost finished the entire novel in my three hour flight. 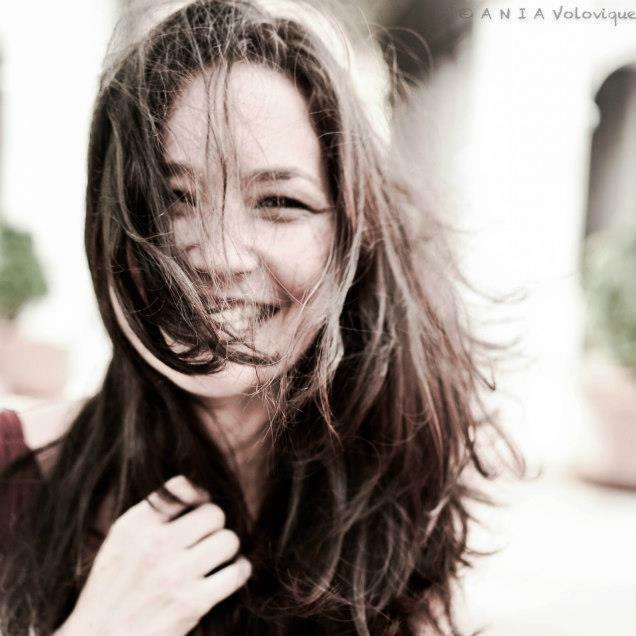 There were moments where I felt some fluidity got lost - the dialogue became stagnant and repetitive and the story itself seems to run along the same circular motion. Yet, I needed to know where the story was taking me. I wasn't overly surprised with any of the twists or felt that throat punch I love so much in my thriller reads. 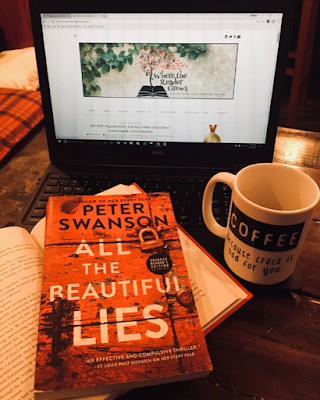 Last year I read and fell in love with HER EVERY FEAR by Peter Swanson, so I was impatiently waiting for his next release. ALL THE BEAUTIFUL LIES is more of a character driven suspense novel than it is thriller driven (like HER EVERY FEAR). If you're looking for an edge-of-your-seat thriller, this might not be what you're looking for. Harry Ackerson is called home when he finds out his father has been found dead by the police and they are ruling it a suicide. Just days before his college graduation, Harry is back home in Maine for the funeral. He is reunited with Alice, his stepmom, who he has always been enamored with. Together they must piece together what happened to his father. We go back and forth from the past and present in this story. In true form for a Peter Swanson novel, the last 25% is full of twists and "what!?" moments. The relationship dynamic between Harry and his stepmother isn't the main focus like I was expecting it to be (based on the synopsis). This book definitely has some content that not all readers will enjoy, mainly the sexual elements between him and Alice. While this didn't have the crazy twist ending, it did have a great build to throughout and enough suspense to keep you flipping the pages. I read most of this while I waited the few hours for my buddy reader (Chandra) to get to Minnesota - so it's definitely a quick one! 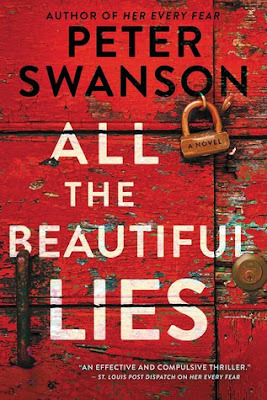 I will continue to auto-buy Swanson's novels in the future and I can't wait to see what he has in store for us next. He can do the crazy thrillers and the character driven suspense novels effortlessly!